Our well-equipped production workshops enable us to realise all types of stainless steel, brass, aluminium and copper constructions for our customers (planning and production) We easily find solutions for individual customer requirements as our production buildings are equipped, for example, with a large selection of flexible and high-spec machinery. 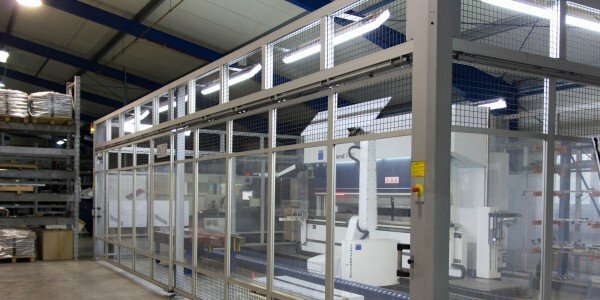 Our CO2 & fibre laser systems (4000x2000mm) as well as our punching-nibbler equipment (1500x3000mm) guarantee a high quality product, even for large-dimension products. 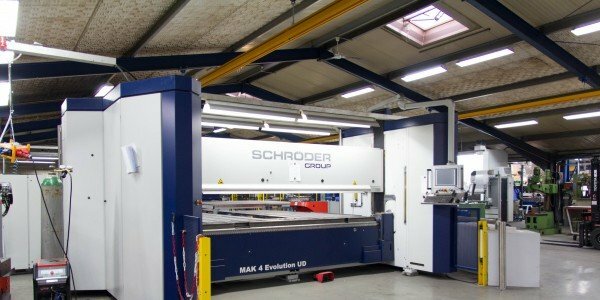 We also have an extremely powerful press brake with a press force of up to 230 tonnes, for bends of up to 5000mm. 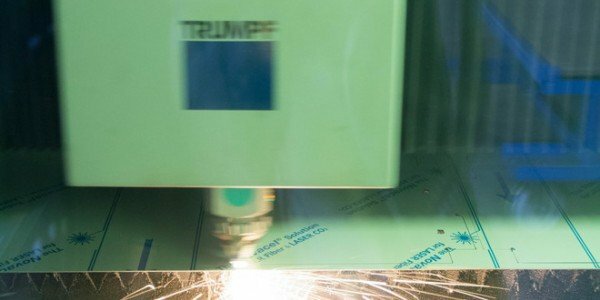 Sheet metal laser cutting-component handling-forming-CNC-spot welding-packaging. Everything is fully automated, timed and extremely productive due to the robotic interface. 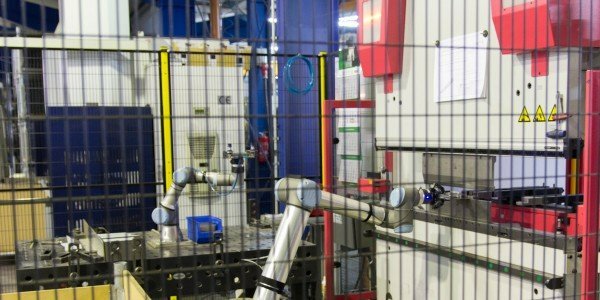 Handling robots are heavily integrated in our production processes. In virtually all cases, despite small-scale production, we manufacture using robotic arms instead of manual production. 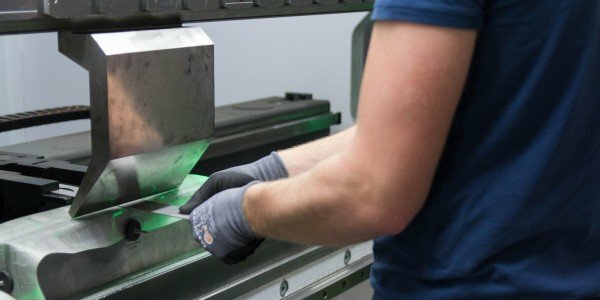 Our range of production machinery is supplemented by a brake, sheet metal rolling equipment and longitudinal welding equipment which can each process a length of up to 3000mm. 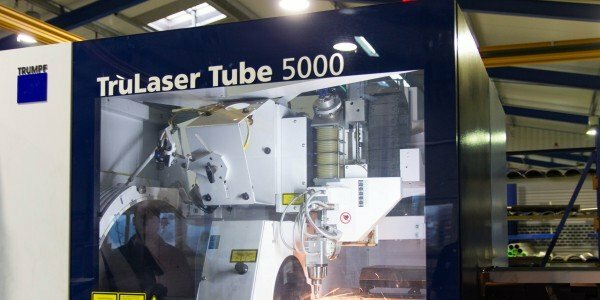 Tube processing is also fully automated via our tube laser. Sawn sections have become virtually redundant as the Tube 5000 offers significant advantages. All drill holes, sections and cutting length are a precise fit, so there is no need for manual positioning. In addition to the large machinery mentioned above, we also have a broad range of machines available so that we can provide optimal product quality for our customers. Finishing and surface treatment are also carried out in our production workshops by our specialist staff who can also respond to precise, individual customer requirements and product constructions which cannot, or can only be partly, manufactured using the machinery. 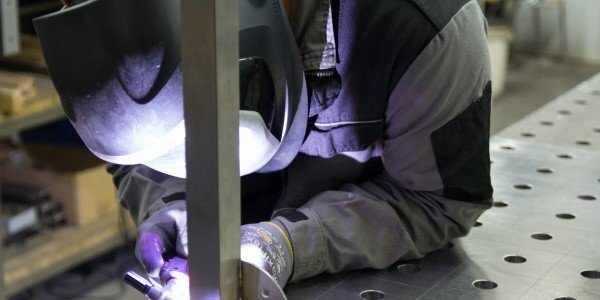 For this purpose we use our individually configured work stations (grinding and polishing tools, welding equipment, etc.) in the assembly hall. Our extensive sheet metal & tube warehouse enables us to manufacture all requested products at short notice and with a quick turnaround & implement a Just-In-Time delivery system. 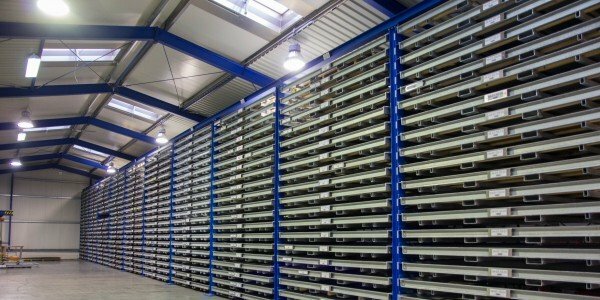 Our efficient storage and retrieval system significantly reduces the wastage of sheet metal and tubes. All remnant sheets which accumulate are used again for the next order.